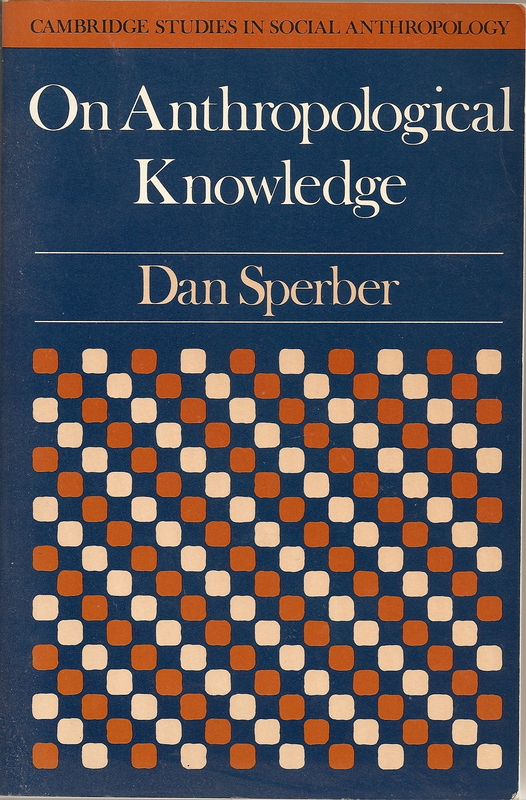 Dan Sperber  Dan Sperber (1985) On Anthropological Knowledge: Three Essays. Cambridge University Press. « Dan Sperber (1986) Issues in the ontology of culture. In R. B. Marcus et al. (eds. ), Logic, Methodology and Philosophy of Science VII. (Elsevier), 557-571. Dan Sperber (1985) On Anthropological Knowledge: Three Essays. Cambridge University Press. Here is the whole book that had been out of print for a while.